When your customers run into a problem with your product, they contact your support team. But, not just regular support. For “IT” related issues, they contact tech support. Whether the problem is a “user” error, a bug or technical issue, it doesn’t matter to them, they just want it solved so they can continue with their workload. If they can’t log in to your product? They contact tech support. A feature or module isn’t working as it normally does? They contact tech support. Therefore, any questions relating to the product (how to install it, how to configure, etc.) all need to be answered by technical expertise in order for your customers to get the best value out of your product. If you don’t have a tech support team in place to answer these questions, then customers will eventually stop using your product. And this leads to higher churn rates. Put simply, if you run a product based business, then technical support is crucial to your overall success. Yet, there’s a challenge with tech support. In fact, it’s 100x more expensive than self-service channels. Each time you fail to solve a tech support question, you’re potentially throwing money away. Worse of all, you risk losing customers. This becomes even more significant if you run a subscription-based business where one customer can subscribe to tens or even hundreds of user licenses. Failing to deliver a good experience here can be very costly. That’s why it’s essential to provide high quality tech support. 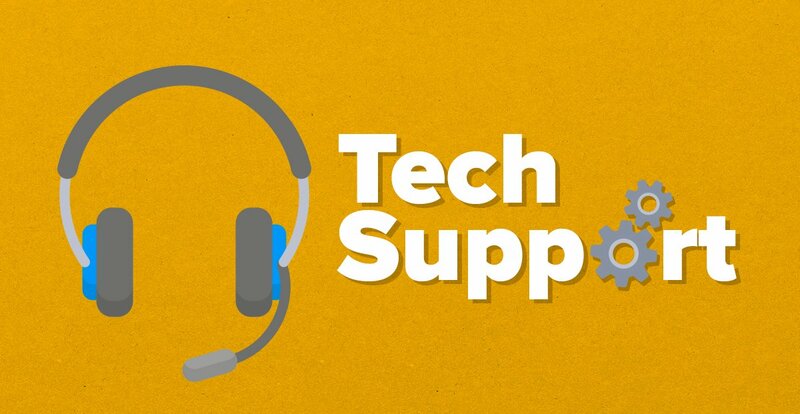 To help you and your team, we’ve created the ultimate guide to tech support. In this guide, we’ll outline what tech support is, why you should care about it, and how it works – as well as hints and tips to help your business improve on the quality of tech support you provide. Technical or ‘tech’ support is a form of customer communication that product-centric companies use to help their users get the most out of their products. Typically, this is done via knowledge bases, live chat, email or phone – and aims to solve technical problems such as installation issues, login errors and other technical difficulties that can have a negative impact on the user experience. But, isn’t tech support just another word for customer support? When people hear the word tech support, it’s easy to imagine people in call centers, dealing with unhappy customers who want to vent their frustrations over payment and delivery issues. These types of issues will be handled by your customer support team, and not your tech support team. Where tech support differs is in the type of issues that are handled. Tech support teams are responsible for handling installation errors, user issues and any other technical problem that prevents the customer from using your product. In essence, tech support focuses on helping customers to use a product more effectively. By focusing on providing better technical advice and support to your customers, you will help customers use your product. Another notable difference between tech support and customer support is the number of support levels. Customer support has fewer levels. The first line of support is via a customer service agent; the second line of support is via the customer support manager. With tech support, there are 5 levels of support. Depending on the needs of your users, it could be handled using email, live chat support, knowledge bases, or even over the phone. As well as being available on a variety of platforms, a well-structured tech support system will also be split into 5 distinct levels. These 5 levels include pre-support, self-service, first line support, second line support and in urgent cases, a third line of support. In the pre-Internet era, if people had a product question, they asked family and friends or, they referenced an owner’s manual. Today, your users will simply “Google” it. And this means that most of your customers will be browsing the web looking for answers before they contact you. Some of your users will be huge advocates of your products and offer incredible insight into how to get the best out of them, and help fellow users troubleshoot problems. But, it’s important to remember that for every good review, there could be countless customers complaining who haven’t had their problems solved and are all too keen to share their experience about it online. With this in mind, it’s important to see online forums, social media, and website comments as your first line of defence. As a company, you should be proactively seeking out these channels to control the conversation, guide users towards your own tech support system and help keep everyone happy. The next level in tech support is about allowing users to self-serve and is managed through self-help wikis, FAQs and knowledge bases. For many users, this is a quick and easy alternative to contacting a help desk and waiting for a response by email. Having a self-service level in place can resolve the most common queries and free up first of line support for more in-depth and complex questions. Unfortunately, FAQs and knowledge bases cannot answer everything. Sometimes, your users need to speak to a human. For many customers, first line support is the first point of contact with someone from your company. First line support concentrates on the most common questions (which you can record, learn from, and use to update your knowledge base). Tech support personnel at this level have a basic to general understanding of the product or service, but may not always contain the competency required for solving complex issues. Nevertheless, the goal for this group is to handle 70-80% of the user problems before finding it necessary to escalate the issue to a higher level. Most issues here will be handled by email support, but as the issues become more complex, users will start turning their attention towards phone support. The more difficult the issues become, the more likely they will want to speak with a live tech support agent, as shown in the chart from the AMEX Consumer Service Barometer report below. At this stage, the issues are becoming more complex. Especially as end users are becoming increasingly tech savvy each year. In fact, in 2016 the New York Times found that 73% of tech support managers said the complexity of support calls is increasing because customers have become more technologically sophisticated and can resolve simpler issues on their own. This means that the 25-30% of tech support queries that couldn’t be handled in first line support, end up here in the second line and are far more complicated. It requires staff with in-depth knowledge of the product to handle these support requests and provide technical guidance – and, the ability to talk to users over the phone to help them find a solution. But sometimes, even these requests require even more expertise. This is the pinnacle of tech support for the vast majority of customers. Third line support deals with outlier cases that levels pre-support to second line could not handle, which means that third line tech support is likely to be managed by a designated super user, or even someone from your R&D department. Generally speaking, by the time a user issue gets to the third level of tech support, it’s become so complex that it likely involves custom work to solve it. So far, we’ve established what tech support is and why it’s important to get it right. But, what if you’re already running a tech support system, how can you make it better? We’ve put together 7 tips for better tech support that’ll help you keep your users happy so that they remain loyal customers for years to come. Tech support gives you a huge opportunity to influence the overall user experience of your product. But, you need to make sure that your tech support team know the product inside out. This why you should think carefully before you outsource the handling of your tech support. Can you guarantee the experience will be consistent every time? How can you measure the level of product knowledge in the people dealing with customers on your behalf? Are your customers expecting to hear familiar accents and speak to people in their own country? If you can get it right, outsourcing can be a great way to reduce costs. Get it wrong and it can negatively affect all the hard work you’ve done developing the product, making the sale, and meeting your customer’s needs up until that point. No business should operate entirely in silos. Instead, you should consider the impact different parts of your business have on each other. And tech support is no different. Each time your marketing and sales teams acquire a new customer, they’re counting on great service to retain them. And the first point of contact a new customer will have once they’ve installed (or logged in to) your product is tech support. But, tech support isn’t just about handling incoming customer requests. You can also use tech support to upsell and cross-sell products and features to your customers. For example, if a customer has a specific problem that they cannot solve in their current pricing plan, tech support can suggest an upgrade to a higher priced plan. This way, you solve their problem with a solution that allows them to continue with their work, while at the same time you increase their commitment as a customer. 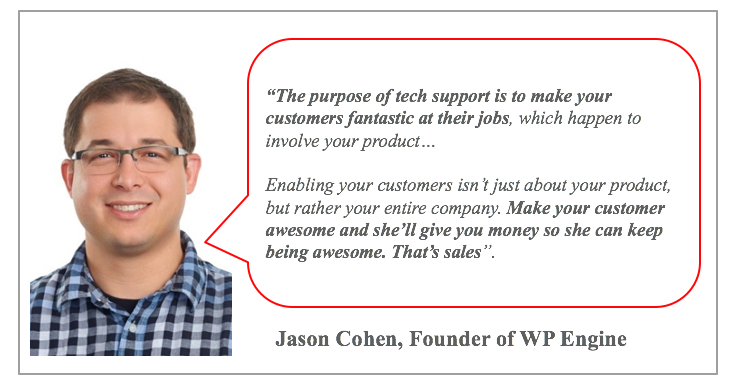 As Jason Cohen, founder of WP Engine says, “Make your customer awesome and she’ll give you money so she can keep being awesome. That’s sales”. Wowing customers doesn’t just have to happen in the sales process. It should happen all the time. Doing so will convince your customers to stick with you through the long term. Not every company has a well-structured tech support system. Everyone has to start somewhere, and it’s not unusual to find small companies who have all their support queries going to the founder or CEO. However, as your business grows, you need to make sure the needs of your customers are met quickly and efficiently. It’s clearly not an affordable or sensible idea to have your CTO answering all the support tickets in your queue, so consider implementing the 5 levels of tech support to filter out the ‘low hanging fruit’ and easy to deal with queries that can be handled by a more junior member of the team. By implementing the 5 levels of tech support, it’ll keep your customers happy (as they get a fast response), but more importantly, it’ll increase your profitability as most queries can be handled by someone who earns a lot less than a CEO or CTO would. If your user runs into a problem, their first point of contact might be on a forum or in social media. Therefore, you will need to monitor user conversations outside of your own platform. If you can take the time to monitor and contribute to the conversations happening online about your product, it can go a long way. Not only will it solve the customer’s immediate problem, but it’ll reassure others that you care, and convince them to become customers too. 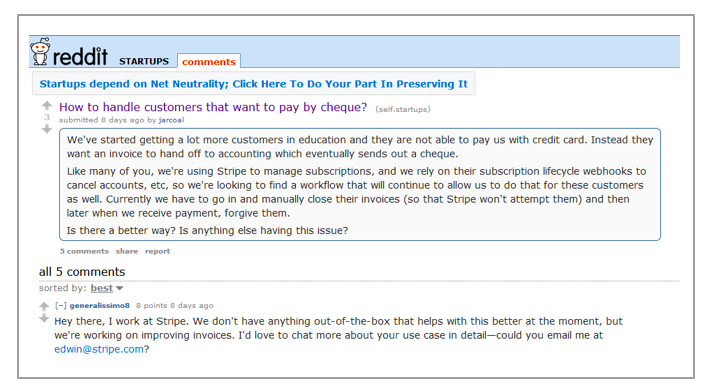 Companies like Stripe are leading the way in this form of early intervention tech support. Have you hidden your tech support link in the footer of your website? No one wants to spend time browsing your website for a link to tech support. In fact, 79% of website visitors admit to leaving a website if no contact information is visible. To prevent this, be where your customers are and make it easy for them to contact you. Quickly solving user support issues and making tech support highly accessible for your customers is a sure-fire way to keep them happy and retain them long term. A great example here is Apple. Do you ever have trouble finding the “Support” link on the Apple website? 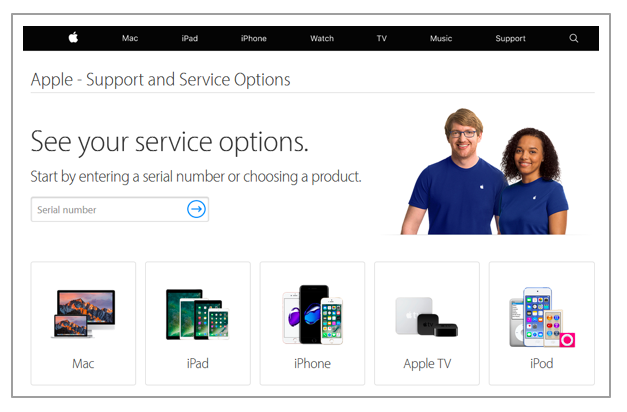 Apple has “Support” on the front page in their main navigation bar. In addition, by following Apple’s self-segmentation process, customers can get the help they need for their specific product in a matter of moments. If Apple’s extensive knowledge base doesn’t solve the problem, then customers can get near instant access to live chat support agents. At no point do Apple customers feel abandoned or frustrated by tech problems. This is a key part of their brand appeal. Any information your customers are sharing with you is as precious as gold. Your customers can give you valuable insights into what’s working in your product and what isn’t. By listening to the different tech support queries that come in, you can discover how you can improve your product, the quality of tech support you provide, and in many cases, form a complete feedback loop between user and product. This kind of voice of customer (VOC) data can be powerful. If your tech support team notices an increase in login-related issues, you can prevent further emails by updating your login screen with a note about the issue, or including a link to your FAQ or knowledge base to help them solve the same issue – all while your product team works on fixing the issue. Email is a fantastic tool. But, using Outlook or a generic email platform is not the best tool to use to handle tech support. Instead, you should consider getting the right tools for the job. The best tools will be able to handle incoming queries, support tickets, live chat, escalation and knowledge bases – all while keeping the rest of your team up to speed with tech issues. Yet, managing relationships with your customers is a team effort. This is why best-in-class companies use tools that integrate with their wider sales and CRM operations to make sure all their team members stay on the same page – every single time. Tech support is a critical element of the overall user experience for product-based businesses. It differs from the more common ‘customer service’ in that it deals directly with technical issues around the product, rather than transactional or account based queries. With customers becoming more tech savvy, it’s important you get your tech support right. No longer will your customers contact you to ask basic questions, (they’re too smart!). Instead, your customers are likely to present complex cases to your tech support team, so it’s important they’re prepared to handle them. The number one thing you can be doing right now to retain more customers for longer is to concentrate on improving your tech support. Follow the tips provided in this post, choose the right tools for the job and start making tech support a priority in your business. How do you plan on improving the tech support you currently offer? P.S. If you liked this post, you can share it on Twitter here! Download these free email templates and start providing better support to your customers. Thanks, Nicoli! Glad you liked it. Excellent post. Tech support really is important to the product experience. Without then, users would leave. Thank you so much for this blog post on technical support. There's some great tips here on how to improve and deliver best in class service. Great tips for tech support! Will happily share this post. Really enjoyed reading this article. I'm a tech support consultant myself, so will put some of these tips to use! Let me know how it works out for you, Charles! Great information about tech support services. This will surely help you if you face technical issues with your products. Awesome Content! 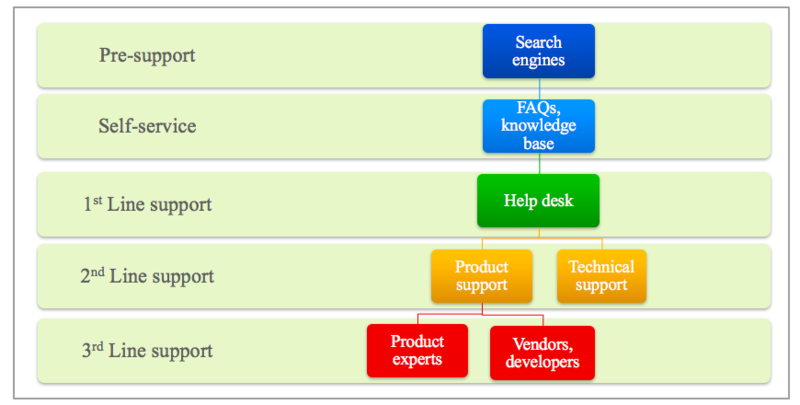 It is really great to know about the technical support process in detail. Tech support is the most important support for your products, which also can be the backbone of the brand by which we can enjoy the best service. Great read, thank you Steven! What is the source for the cost per contact of tech support? $12 is a lot, compared to the 10 cent cost of self service. Tech support is the most important support for your products, which also can be the backbone of the brand, by which we can enjoy the best service. Awesome content! It is really great to know about technical support process in detail. Great! This is such a nice article. Tech support plays an important role to bring the customer satisfaction and the user experience! Great Post. Thanks for sharing this very useful blog post on tech support. This information is very helpful for us! Thank you, very useful! Great post about tech support services. Thanks for your information. I agree that it's important to have your contact information available on your website so that it's easily accessible. When people aren't able to contact you, it can be very difficult to resolve concerns. I think my husband is looking for a phone support service in case he starts up the company he was thinking about because he would need the technical support right from the beginning. Someone that has their contact information readily available would be best for him! Thanks for sharing this very useful blog post on tech support. This information is very helpful for me. I will recommend to all! Glad you like it, Sonal! Self-service has become a firm favorite of the tech-savvy millennials and GenZ. The positive impact of self-service goes beyond the help desk, team of agents or the customers they serve, with the info serving as a powerful tool in the business growth. As I see it, the marketing, sales, product development and support functions in the organization are the ones that benefit directly and the most. This is a very useful post on technical support. Thank you for sharing this information with us!